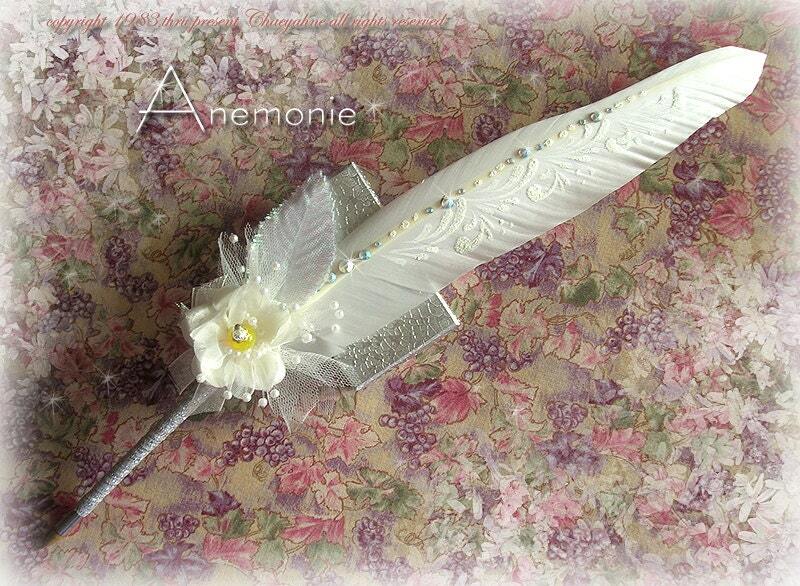 This lovely pen is 11 inches long with a silver ferrule & silver wrapped pen shaft. Accents include a gorgeous anemone flower with white leaves & crystal sprays. The ANEMONIE flower has a lovely handblown, lampwork glass center in yellow. 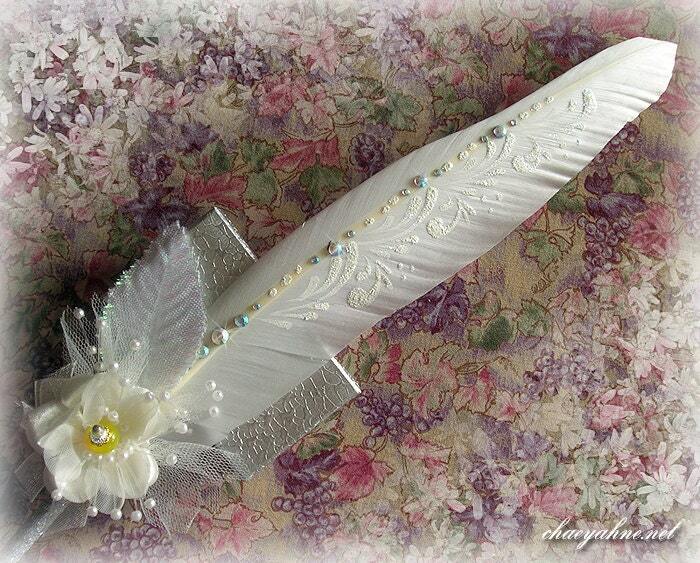 It has been handpainted in 'Faerie Dusted White' & adorned with aurora swarovski crystals along the entire feathers length. This is an exclusive CSD design, and is of course one-of-a-kind.